A very specific subset of Xbox One owners are having serious connection problems. Some Xbox One-owning Comcast subscribers have been experiencing a bug that prevents them from playing games online via wi-fi. Comcast and Xbox, who both addressed the issue in their community forums this morning, are working together to fix the issue. Described by Comcast as a "jointly identified as a MSFT [Microsoft] bug," the problem stems from conflict between the Xbox One software and networks using a IPv6 address. The issue may be triggered by a "firewall setting that can cause MTU, Live Connection Error or Can't Access the Internet errors." according to one Xbox customer service rep. That's apparently a problem for customers who have an Arris TG862G Wireless Gateway, one of the routers provided by Comcast. Despite the seemingly systemic explanation, Comcast describes the problem as "hit or miss," and claims the problem only affects "some games." 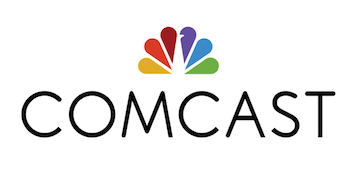 Comcast seems confident that the bug is relatively minor and will be fixed sooner rather than later. "We anticipate that Microsoft will release a software update after the holidays that will resolve this issue." For now, Comcast is recommending afflicted users connect their consoles using an ethernet cable.